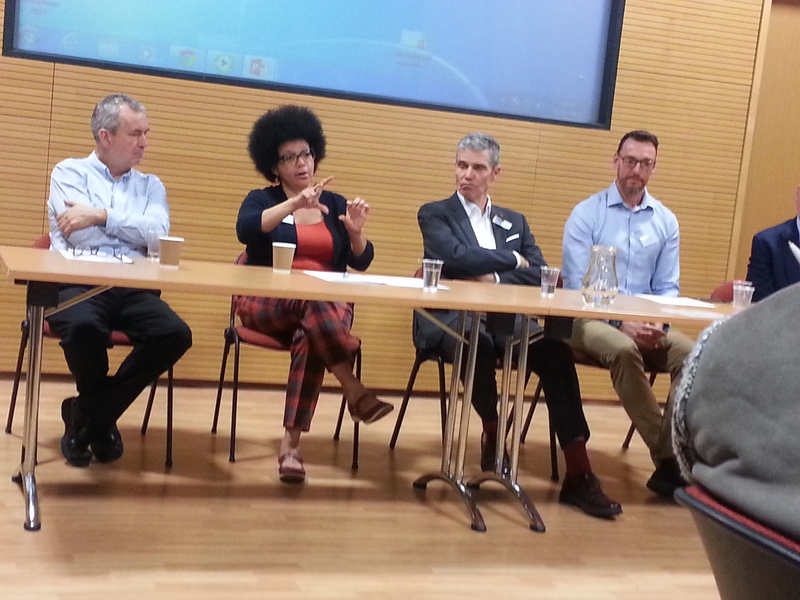 I recently travelled to Wales for The Consortium for Therapeutic Communities and the Glyndŵr University Conference: “Agency – Creating Empowerment through therapeutic childcare and education.” TCTC is a membership charity which supports, promotes, develops and represents the application of therapeutic work across a wide range of setting. Amanda Knowles, Trustee and Director of TCTC, had asked me to be a keynote speaker. Glyndwr University started in 2008 so are considered to still be one of the youngest universities in the UK, although they have been delivering education at their main Wrexham campus since 1887. The journey to Wales was very easy (Euston to Chester and then a bus ride to the hotel). Unfortunately I found myself wide awake in the early hours suffering from indigestion and an upset stomach. To be away from home and ill was scary, something in the past I had dreaded. I took myself off for a walk around the gardens in the early hours. 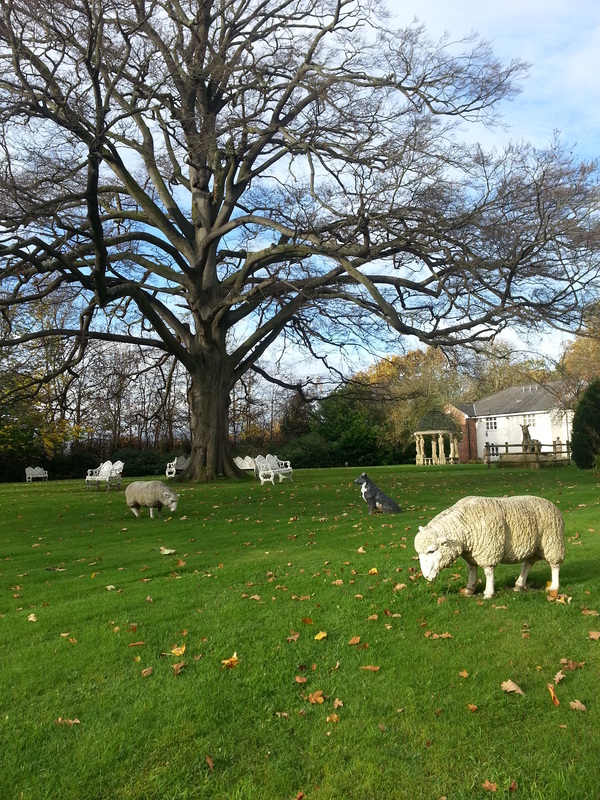 A strange experience as I kept bumping into statues of sheep! My first keynote speech – was it the food or nerves? Who knows! Arriving at the Catrin Finch Centre in the university the following morning, I was greeted by Amanda and various other conference organisers including Steve Elliot, from Care Forum Wales, who opened the conference and introduced the theme of Agency, one of the five quintessences of a therapeutic environment identified by Rex Haigh, in his seminal article. Robbie spoke of how some of the children had no idea they were being shipped halfway round the world, one young girl being told she was going on a picnic. Photographs were key in Robbie’s presentation. He spoke about Agency. He showed some children, mid-air, diving from the edge of a pier to illustrate this. Of course young people in care need a huge amount of support, but there does come a time when they have to learn about independence. These days young people are leaving home much later in adulthood, though children in care are still being forced to jump ship before they are ready. The photograph showed how a young boy had chosen his own moment to jump. There was no adult standing behind him, or in the water to catch him. He just did it. This apparently is agency. Soon it was my turn. But before I write about my experience. I want to share another keynote presentation, one I had been looking forward to for some months. Dr. Yvon Guest, Chairperson, National Centre Research Group, Specialist Associate Lecturer, Department of Allied Health Professionals University of the West of England. Yvon’s presentation, “Beyond just surviving: a psycho-social approach to resilience over the life span in care experienced adults” was very moving. It was the culmination of 10 years work on her PhD. She shared the stories of some care leavers, one of whom was 70 years old. What was very apparent was that age had not lessened the trauma of this man’s experience. Yvon’s research defines ‘in care’ very widely so as to include relative or kinship care and adoption as most care experinced adults have actually had a very mixed upbringing. During questions, somebody asked what age should support for care leavers cease. Yvon spoke about the mental health issues that a lot of care leavers are left with, and that continue throughout their lives. She felt that access to services should be available at any age. I found myself thinking about a particular aspect of her presentation, something that has stayed with me. It was something so simple and yet it achieved resonance, how for some care experienced people, things stay lost. In particular relationships. I began thinking about a Museum of Lost Things, a place where people can go and remember those lost relationships or unrecoverable belongings. A place with thousands of lighted cabinets that hold the lost things in perpetuity. John Diamond, Yvon Guest, and sitting on the end, Kevin Gallagher one of the organisers of the event. Going back in time a little, to my presentation, I had planned to start the session without speaking. To play Lemn Sissay’s powerful video that links orphans in fiction with real children in care. Unfortunately the sound was lost! I had to do an impromptu explanation. Lemn has a permanent exhibition at the Foundling Museum in central London which the vido is based on. I was so busy ad-libbing, I forgot to be nervous. However, there was another reason I felt comfortable in the hall, and that it was the right and fitting environment for my first keynote presentation. This was because I knew that many of the people in the audience, worked therapeutically with children in care. They totally understood that the last thing children who are traumatised need, is to be moved from placement to placement. Although as I was told, sometimes it was impossible to stop this from happening. This audience cared very much about what happened to the children they were looking after. I admired the work they do and felt honoured to be speaking to them. I explained the background to my research: For the first eight years of my life I was moved between family, foster placements, and residential children’s homes. At eight years old I was sent to a place in Muswell Hill, North London, and stayed there until I was sixteen. As a small child, I was lucky that I was a good reader and so could get lost in stories and escape the madness around me. I was also lucky that in the books I read, there were so many orphans and abandoned children, characters like myself, that I could read about. However as I grew older, I noticed the lack of characters like myself. It was to be many years before I came across an adult care leaver in literature and that has only been in the last 15-20 years. It’s only been in recent years that the therapeutic benefits of reading have been discovered. I really believe that reading fiction saved my sanity. I began my PhD journey when I attended Lemn Sissay’s ‘From Pip to Potter, Celebrating the Place of Children in Care in Literature’ at Southbank in February, 2012. I had been thinking of doing a creative writing PhD but up until that day, the subject wasn’t clear. I had felt as if I was at some sort of crossroads and it was a wonderful feeling to see the road clearly signposted. You can read more about that here. As well as researching care leavers in fiction, I will be investigating the history of orphan literature. For example Dickens, the Brontes, and many other writers who chose orphans as their protagonists. I want to understand whether and, if so, in what ways we see care-characters reflected in literature. Texts serve as a way to identify with characters – think of texts as mirrors and windows – we look in a mirror to see ourselves, or through an open window to see what is happening out there. Fostered, adopted and parentless children are written into the heart body and spirit of 20th and 21st Century culture. But, what happens when those orphans grow up? Where were they? In 21st century literature, characters with a care background i.e. adopted, fostered, or in a children’s home, are often portrayed as criminals, especially in crime fiction. 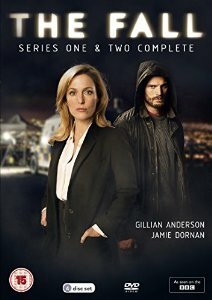 Think The Fall or Broadchurch, there are many more. How does a care leaver achieve narrative coherence and find a voice to tell their story? 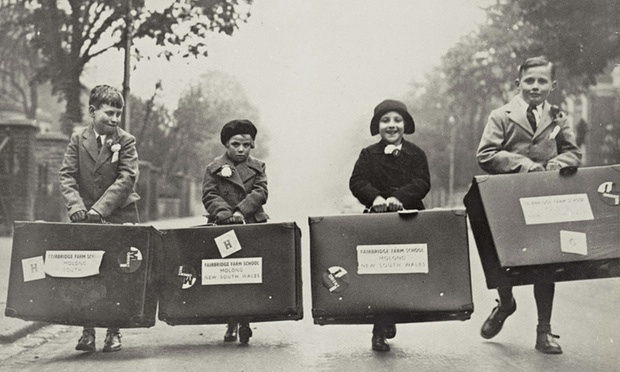 Is there a literary voice for the marginalised care leaver? I shared an extract from my novel. This was probably the most scary part of the whole presentation. My writing is very personal. I spoke about how I will have to re-live leaving care all over again if I want to mine those gold nuggets. Recently I made the decision to get myself a therapeutic writing supervisor, so that if stuff comes up, I’ll be able to not only discuss whatever it is that is demanding to be heard, but also include the supervision as part of the PhD process. The extract was very well received, so much so that during lunch a lot of people asked where they could get hold of the book! I also received invitations to speak in various parts of the UK, which I look forward to in the future. This entry was posted in Blog, Care Leavers, Orphan Lit, PhD and tagged agency, conference, keynote presentation, museum of lost things. Bookmark the permalink. Thanks Yvon, I look forward to catching up with you in the future. Thank you Kevin, I’ll keep you posted and let you know when the book is finished.